While waiting for the snow and ice to melt and the cold to give way to early spring warmth, explore the variety of activities being offered right in your backyard. From theater and parades to nature walks and flea markets, there is something for everyone to do this weekend in the DC metro area. Our Going Out Guide is the perfect resource for planning an unforgettable day. Saturday and Sunday: Big Flea: You could spend your entire weekend searching the stands for gorgeous antique furniture, fun vintage clothing, and so much more. 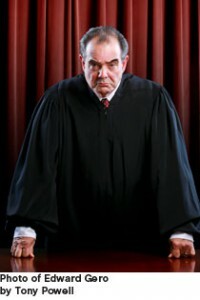 Friday, March 6th: The Originalist: This new play about a law school graduate, who clerks for Justice Antonin Scalia on the Supreme Court, will have its opening performance on Friday. Saturday, March 7th: St Patrick’s Day Parade: King Street in Old Town Alexandria will be packed with the best marching bands, dancers, and performers during this year’s parade. The theme will be “Women of Irish Heritage”. 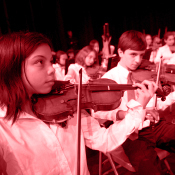 Sunday, March 8th: Music of the British Isles—American Youth Philharmonic Orchestra: Holst, Frost, and Newbold are a few of the composers being featured by this group of young musicians.